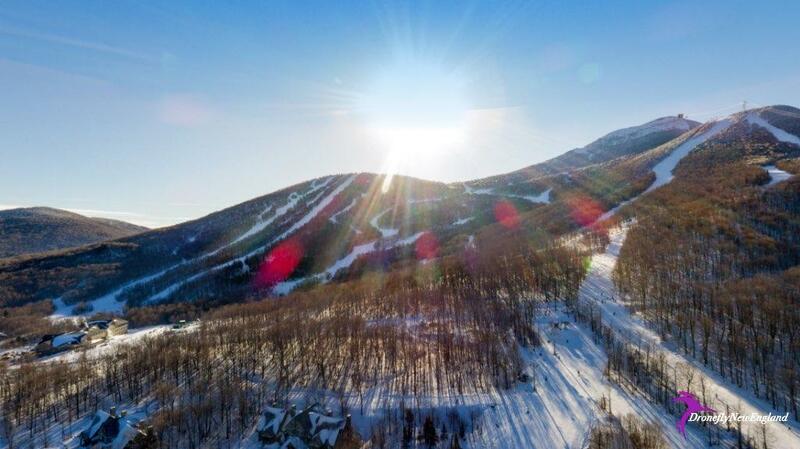 Base Depth 36 - 54 "
See Jay Peak aerials from the great 2016 Christmas snow! We officially crested the 400” mark for the season early this morning, and the snow is still hammering down. About 2-4" of light snow is on the hill for you this morning, and our season total is now sitting at 402". Of course, it wouldn’t be a true 2018-19 snowstorm without a helping of wind. Forecasts are calling for a little more snow to fall, but it could be difficult to find with 45MPH gusts blowing around. We’ll keep you posted on our lift status as soon as our Lift Crew gets on-hill. We plan to have nearly all of our trails open today, with the two exceptions being River Quai, which is being reshaped for the public, and the Interstate Terrain Park which will play host to the Vertical Challenge Finals this weekend.